Our experts share why (and how) to become a morning workout person. As the saying goes, the early bird gets the worm—or, in this case, the awesome workout. There are a multitude of science-backed reasons to exercise first thing in the morning: lower stress, higher energy, even the ability to ward off weight gain after over indulging at dinner the night before. Morning workouts can lead to a more restful night’s sleep and lower blood pressure. Of course, working out at any time of the day is better than not working out at all, and not everyone’s schedule can accommodate a morning gym session. 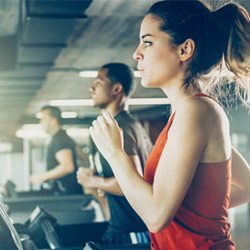 But if you’re on the fence and need a push to throw off the covers and elevate your heart rate, Gold’s Gym Fitness Institute experts Adam Friedman and Robert Reames tell you how. It’s easier to stick to an exercise plan if you’re doing it at the same time every day—say, 7 a.m.—than a variable time like whenever you leave the office. “You’re less likely to have life show up and distract you from working out,” Friedman says. Also, be sure to set reminders or alarms in your phone to bring your session front of mind. Set yourself up for early morning success by powering down well before you hit the hay. “Shut down your computer and phone, get rid of all blue light an hour before you go to bed,” says Friedman. The National Sleep Foundation recommends seven to nine hours per night for adults. That means “you’ve got to get to bed early,” Reames says. 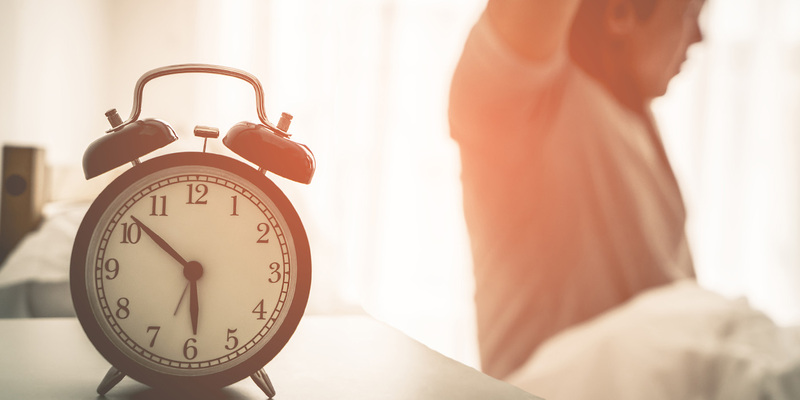 “If you want to work out at 6 a.m. and you go to bed at 2, that’s not happening.” Try sticking to a strict sleep schedule so you can keep your body’s sleep-wake cycle consistent. This means going to bed and waking up a the same time everyday. Your diet also effects how you sleep, so watch your intake before bed and stay clear of nicotine, caffeine and alcohol. You’re less likely to hit the snooze button if you make plans to meet someone at the gym. “Get someone to hold you accountable, whether it’s a workout partner or a trainer appointment or a group class that starts at a certain time.” Friedman says. Also, be sure to set reminders and alerts on your phone to make sure your session is front of mind when you wake up. If you’re wary of working out on an empty stomach, try a snack. “Be clear about what you need in your stomach beforehand,” Friedman says. “Maybe you need that cup of coffee or a little bit of something easily digestible, like some whey protein powder and water, or a small piece of fruit.” Having something in your system will help keep your energy post-workout and into your day. Try preparing your snack the night before so that it’s ready to go when you are. Keep it simple and have a plan. It’s smart to have a plan for when you get to the gym so you maximize your gym time. Try our treadmill workout for beginners next time you’re in the gym.